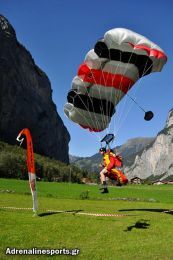 news 17.09.11: The ProBASE wingsuit race 2011 was hold at Stechelberg in the Lauterbrunnen valley, Switzerland. 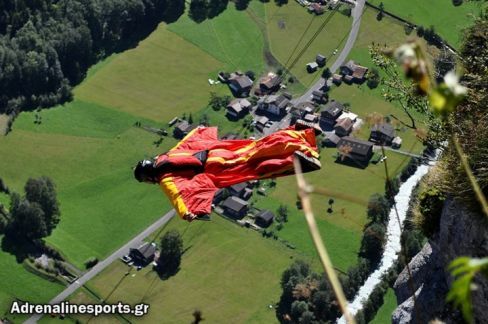 It was the final season event of the BASE jumping World tour with 25 athletes from different countries. Oliver ranked 5th after 3 qualifying rounds but he dropped out of the competition due to personal reasons.